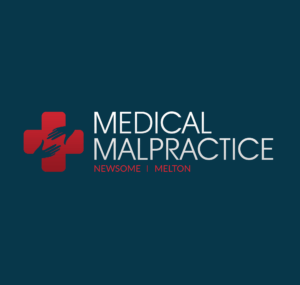 A number of malpractice cases will involve some form of financial compensation to help patients deal with losses that will not have occurred at the time of the payment, bringing into question the necessity of a lump sum payment. There are situations where people may need medical care that continues long after the lawsuit itself has been decided upon. This may be the case when people need additional physical therapy, nursing care, or surgery on various parts of the body in connection to the initial injury. These costs may come to pass years after the original injury has occurred. Similarly, if someone becomes disabled due to an act of medical malpractice, he or she will have to live with that disability each day for the rest of his or her life. These factors must be considered when one wants to decide if future costs can be settled in the present through a lump sum payment, and the answer to this question as decided by various state courts is yes. There must be certainty in the damages that occurred in order for them to be strong enough to be compensated in a court of law. This is also the case when future losses are called into play. There must be a reasonable degree of certainty that the losses will indeed occur. If such criteria have been established, then it may be possible for both future and present compensation to take place. In accounting, this is done via the technique of reduction to present value. In the case of future medical costs and lump sum future damage awards, amounts related to recovering prospective earning losses must be reduced to the present cash value for the probable period of disability. In broader terms, “present cash value” is the amount of money which accompanied with investment return at the highest yield rate consistent with reasonable security, would offset the typical economic losses the plaintiff is expected to sustain in the future.